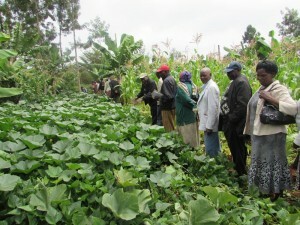 This 1/8 acre garden is found in Karure village, Thika district, Kiambu county, and is cultivated by 22 community members (9 women and 13 men) that are engaged in activities aimed at improving their living standards. Agriculture is one of the activities they are engaged in with the garden acting as a “class without walls” where members learn and replicate their new knowledge at their individual farms. Apart from being a training ground for the group members, the garden serves as a training center for other community members and regularly hosts visitors from other parts of the country for exchange visits. 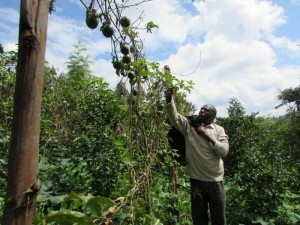 The Grow Bio-intensive Agriculture Centre of Kenya (G-BIACK), a local Ngo that promotes bio intensive farming, introduced the group to Slow Food. 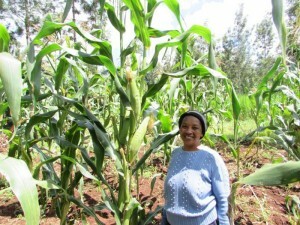 The garden is currently cultivated with: amaranth, kale, spinach, arrowroots, sweet potatoes, sorghum, maize, millet, etc. 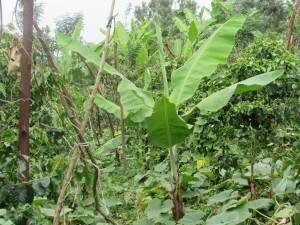 Mangoes, bananas and passion fruits are also found in the garden. The garden also acts as a seed multiplication site where seeds are selected, multiplied, and shared amongst the group members. 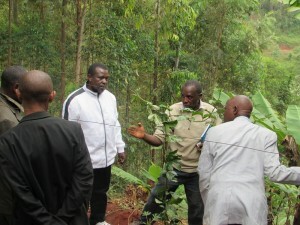 What is harvested is shared and in some cases sold to cover the costs of garden expenses. Products in the garden are also used during group meeting and in other special occasions. The group applies sustainable agricultural practices in the garden as a way of improving the soil and ensuring quality food production. Some of the methods used include: the use of organic manure (farmyard manure, composts etc. ), natural pesticides from plant extracts (neem, onions, pepper, mexican marigold, stinging nettle, etc.) and crop rotation. Training sessions have been conducted to equip the farmers with practical knowledge on sustainable food production and consumption, while tools and equipment have been provided.